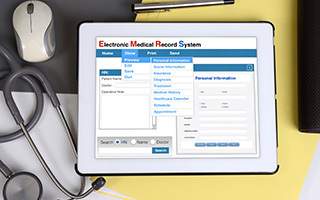 When the Affordable Care Act proposed a reimbursement increase to health care facilities that adapt to an electronic medical record (EMR) system by 2014, many hospitals faced complex staffing shortages to accommodate the new mandate. The initial design and development of the EMR conversion required significant nursing training away from bedside patient care. When planning for implementation and training on their new Epic EMR system, executives at the University of California at San Francisco (UCSF) Medical Center recognized the importance of keeping staffing and quality patient care at optimum levels while nurses were training. Their workforce vendor, MedAssets, recommended partnering with a single staffing company, one that was experienced in large-scale, rapid response projects. MedAssets endorsed Fastaff to UCSF. As the pioneer and industry leader in Rapid Response® travel nurse staffing solutions, Fastaff’s deep database of hard-tofill specialties provided experienced nursing coverage in all units within UCSF throughout the duration of the project. “The scope of this project was large, so we needed one partner to work with us throughout the transition, not multiple vendors,” said Jeff Chui, employment manager with UCSF Medical Center. The specific requirements of UCSF for Fastaff nurses included teaching hospital experience and various specialty areas, such as ICU, oncology, endoscopy. With an onsite pediatric research center, UCSF needed a large number of credentialed pediatric nurses. Fastaff guaranteed delivery of experienced nurses, including full staffing for the pediatric positions, totaling 350 nurses throughout the conversion project. Fastaff arranged for an onsite clinical manager to provide customized reports, daily check-ins, quality assurance, and project coordination to support hospital administration. The project was successful: UCSF was highly satisfied with Fastaff’s ability to deliver experienced nurses, ready to hit the ground running, who provided uninterrupted quality patient care throughout their EMR conversion. During the project, UCSF utilized an unprecedented number of contingent nurses in general and hard-to-fill specialties, more than ever before. By delivering experienced nurses on the facility’s timeline, UCSF trusted Fastaff to continue providing quality bedside care while the hospital transitioned to a new EMR system seamlessly throughout all units.